Susanne Friis Eden: Although we as manufacturers of electric hand dryers are competitors, we feel that it’s important to raise our voices and talk about the increasing problem with CO2 emissions and consumption of paper. United we stand stronger in this respect. We believe that we all have a moral obligation to engage in fighting the environmental challenges. 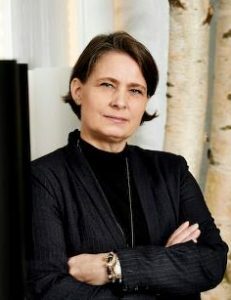 Susanne Friis Eden: Today people are increasingly conscious of good hygiene and elegant interior in public toilets. We see a trend towards more and more customers focusing not only of function but also on design. On top of that an electric hand dryer is a far more economic choice than paper and reduces cleaning. 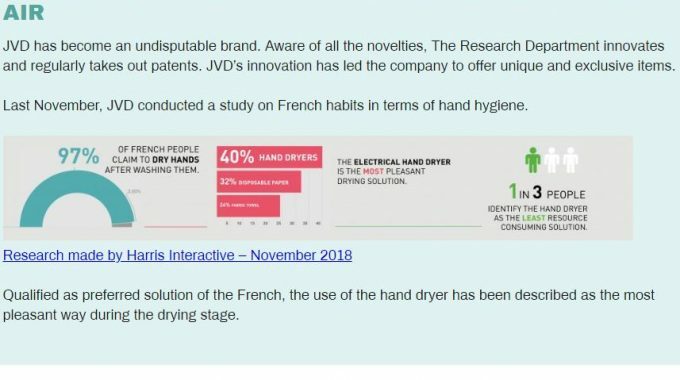 Susanne Friis Eden: Our studies show the opposite; a conventional electrical hand dryer heats the air to a temperature at which bacteria cannot survive. Thus, the air striking your hands will contain less bacteria than the air you breathe in. Unfortunately, we have seen some reports that twist the information and thus public some results we cannot recognize. Susanne Friis Eden: Our agenda is to create an awareness of the overuse of paper and the increasing CO2 emissions. An electrical hand dryer is in our opinion the most economical and nature-friendly way to dry your hands.